I am so excited to show you my favorite city in Portugal with my selection of the best things to do in Porto. 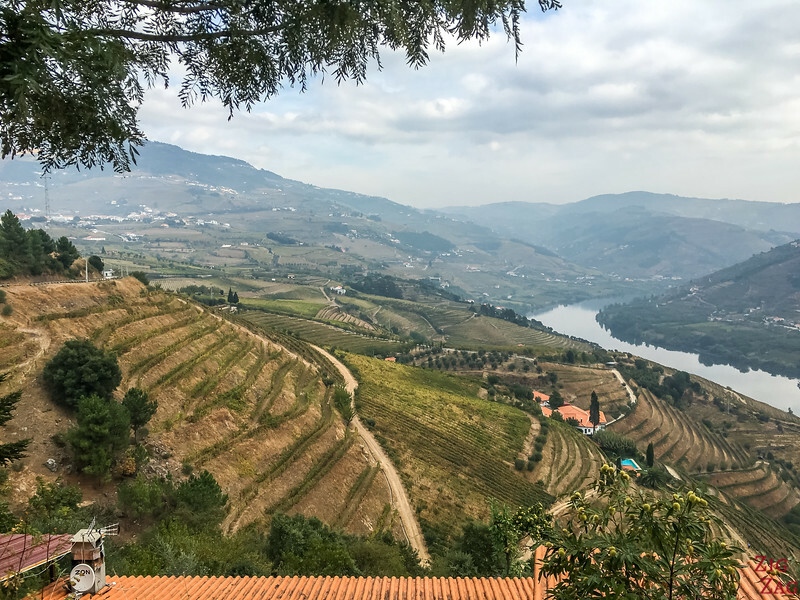 Plus, to save you time, I have curated for you the different options of Porto tours, including Porto walking tours, Porto city tours and Wine tasting tours in Porto. This way you can become more intimate with this soulful city! Porto is a vibrant city with a lot of Soul and history. No wonder why it made it on the Unesco World Heritage list. Simply walking the street is fascinating. And I am in love with the Dom Luis Bridge I 🙂 I know I am exaggerating a little bit. But this is not the Port wine talking! Below I will first share with you my favorite places to see and visit in Porto so that you can create your own Porto Tour. But if you want to learn more, having a guide on a Porto Tour will allow you to dive into the history and vibe of the city. 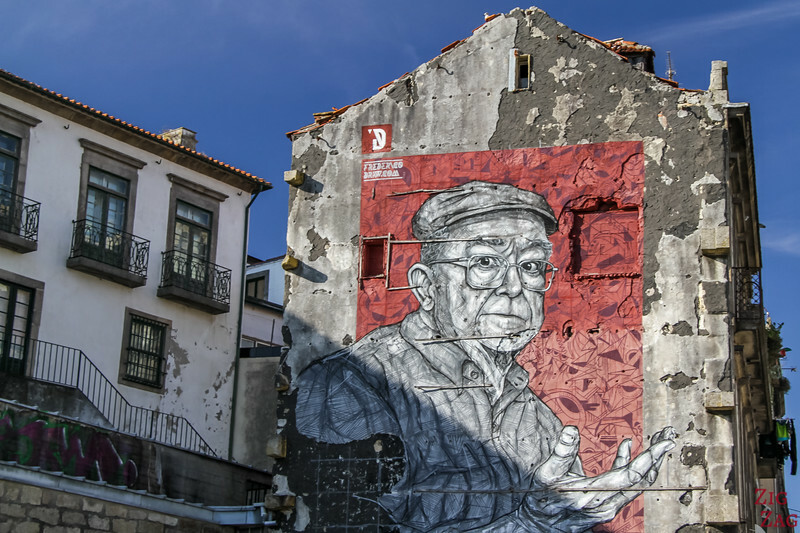 There are plenty of options that I have curated for you: Porto walking tours, Private Porto city tours, Wine tasting tours and other excursions with unique perspective such as tiles, street art or food! Want to freedom to explore at your own pace? I understand. 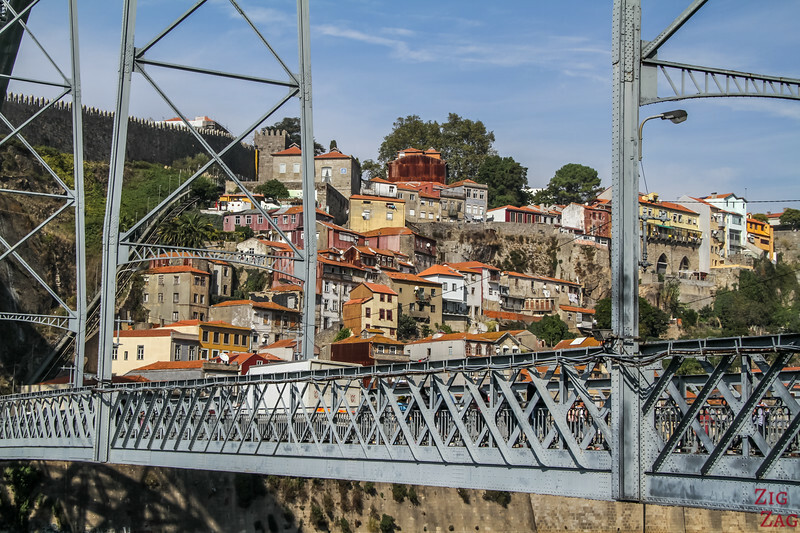 In that case, here are some suggestions to create your own Porto itinerary and experience. The yellow hop on hop off bus stops near all the great places to see and best views without wasting time in between. The main loop is not too long. Plus there are a river cruise and a wine tasting tour included, as well as a second loop that takes you all the way to the beaches and forts. I don't recommend the Hop on Hop off bus in every city. I think for example it is a waste of money in Lisbon. But in Porto is was really great! One of my favorite activities in Porto to to just stroll by the Douro river on both sides and to cross the Dom Luis Bridge. The views are fantastic from every angle! 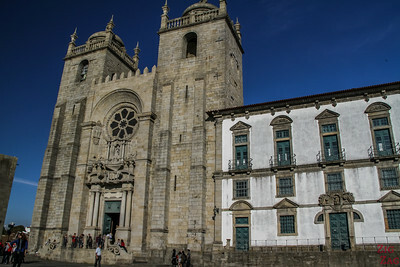 This building is actually composed of 2 churches separated by a tiny 1m wide house​: the Carmelite church and the Carmo church. 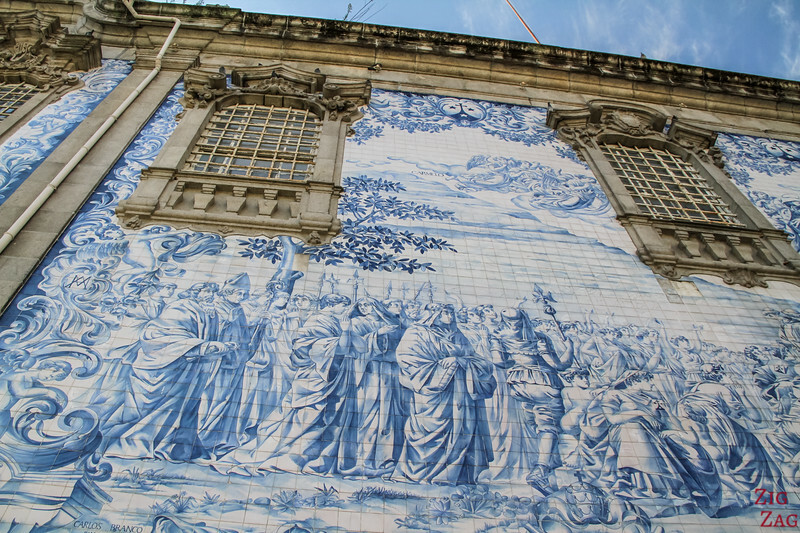 On its side is a beautiful wall covered with blue Azulejos tiles. 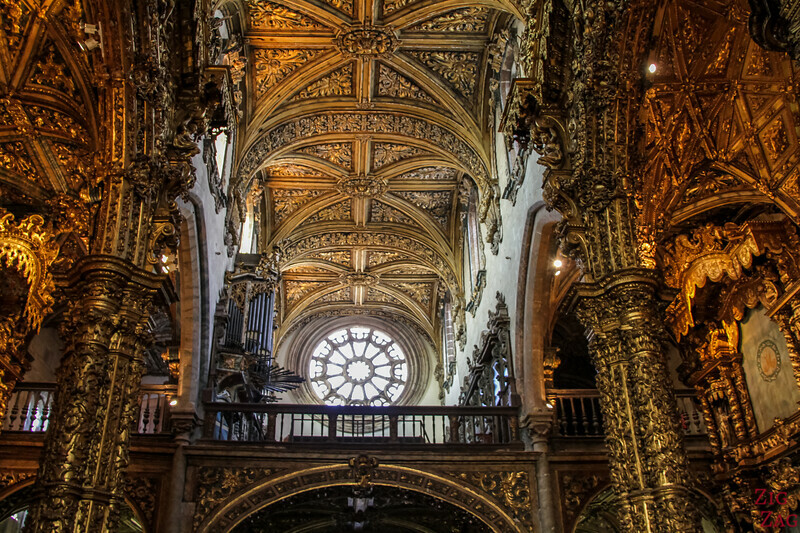 And both churches deserve a visit for their rich interiors of Baroque and Rococo styles. 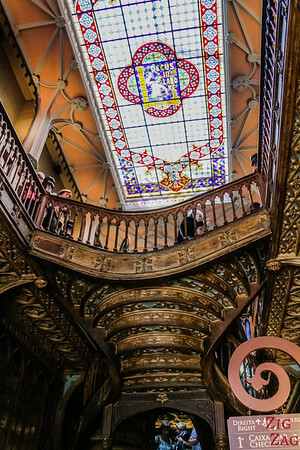 Open since 1906, the library is a fascinating building with a neo-gothic façade. Inside are beautiful wood and glass decors like entering another world! If you are a Harry Potter fan, the twisted staircase in the middle of the shop is said to have inspired JK Rowling. Just buy a ticket entrance across the road and admire the fascinating decor. 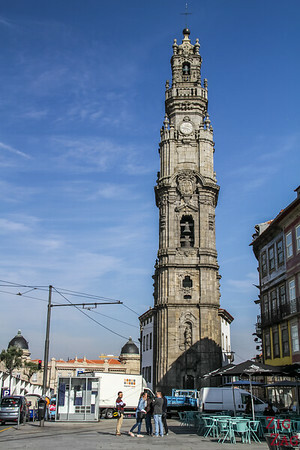 The Clerigos Tower dominates the Skyline of Porto. Built in the mid 18th century in Baroque style, its height reaches 75m (246ft). 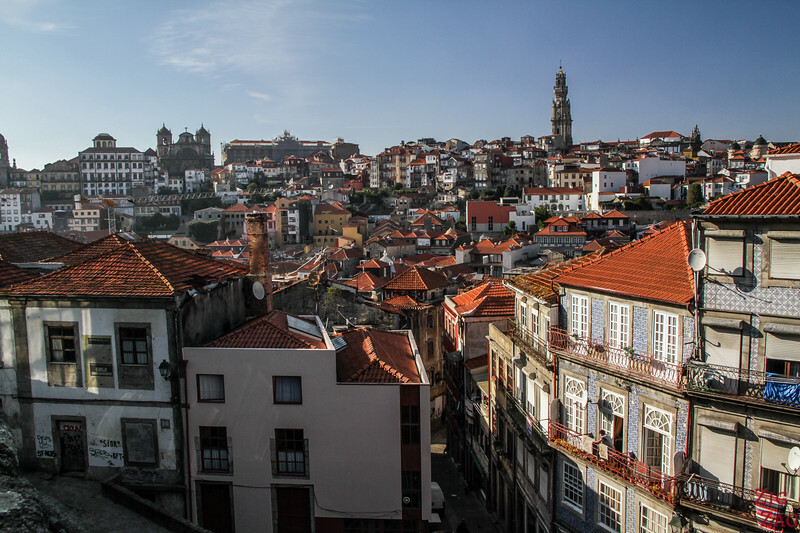 At the top is a viewing platform to admire the roofs of Porto. And adjacent are the church and museum in the House of Brotherhood. 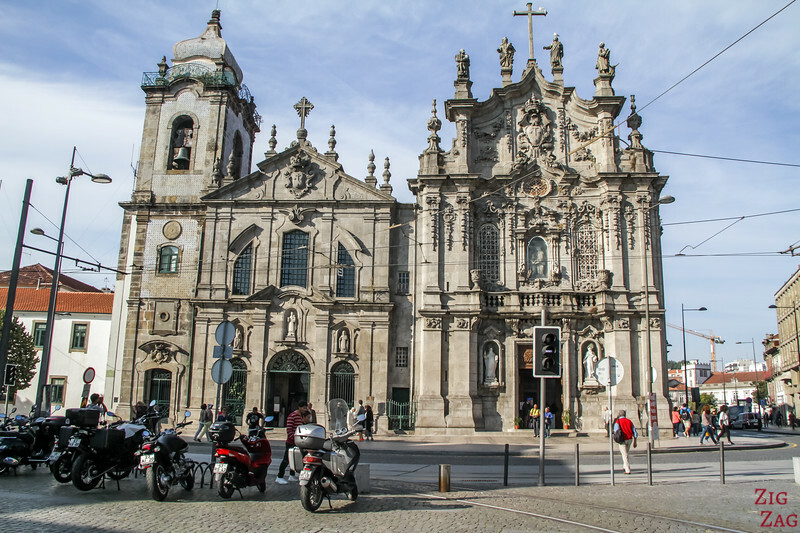 I think the Se cathedral was my favorite locations and one of the best things to do in Porto. It is situated at the end of the Upper platform of the bridge. Even if you don't have time to visit, you should go to the esplanade in front of it to admire the view. But if you have time, enter the 13th century cathedral and pay to visit the beautiful cloister with many azulejos tiles and the surprising ceiling of the Chapter house.. 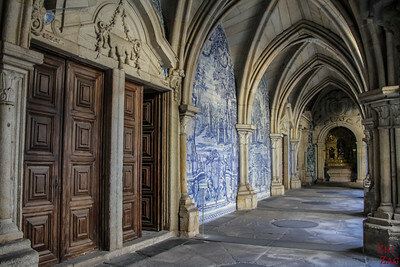 In the Lower part of Porto stand the Bolsa Palace. Not my favorite location, but I am listing it because it would be a nice visit for many people. The building is neo-classic and some rooms offer unique decors with arabic influence. A little bit hidden by the side of the Bolsa Palace, the St Francis church (Sao Francisco) dates back to the 14th and 15th century. It is very austere from the outside but the once inside, you realise that every inch is covered in baroque decors with gold. Estimation vary between 100 and 300kg of gold used. No photo allowed inside for visitors. Now let's move to the other side of the Douro river in Vila Nova de Gaia. Walk up to the Serra do Pilar Monastery. It can be visited. But the best part is the view from the park around (photo above). It was one of my favorite views of Porto. But the main attraction of Nova Gaia are all the Porto wine caves. There are so many. And all with a title lol: the oldest, the biggest, the oldest in the same family etc etc. If you don't know which one to visit, The Hop on Hop off bus includes a ticket with a visit to one of the cave. Their choice of partner may change overtime. When I was there, I visited the Cockburn cave and had a really good time. 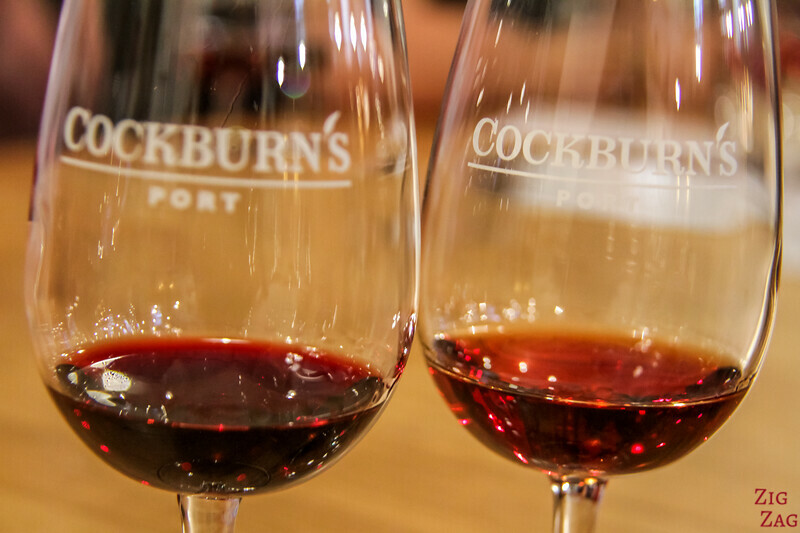 There was a great atmosphere, the staff were really nice and my dad was happy with the tasting (I don't drink). 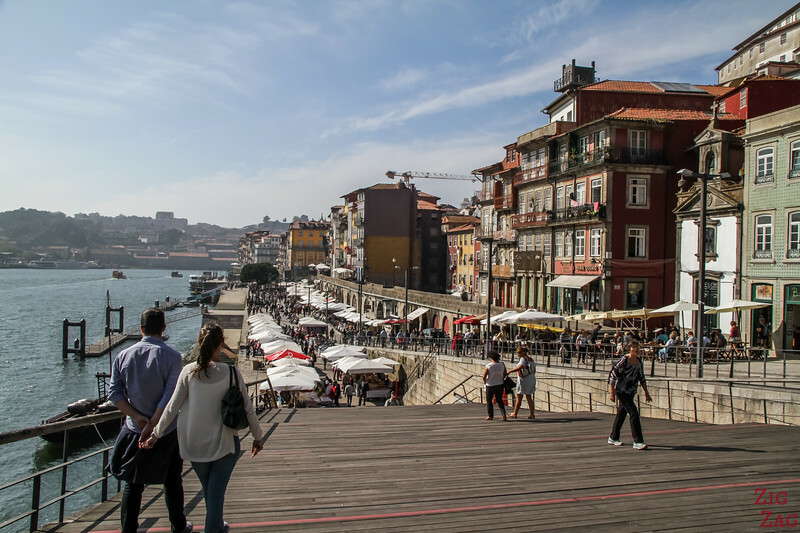 There are a lot of things to do in Porto! 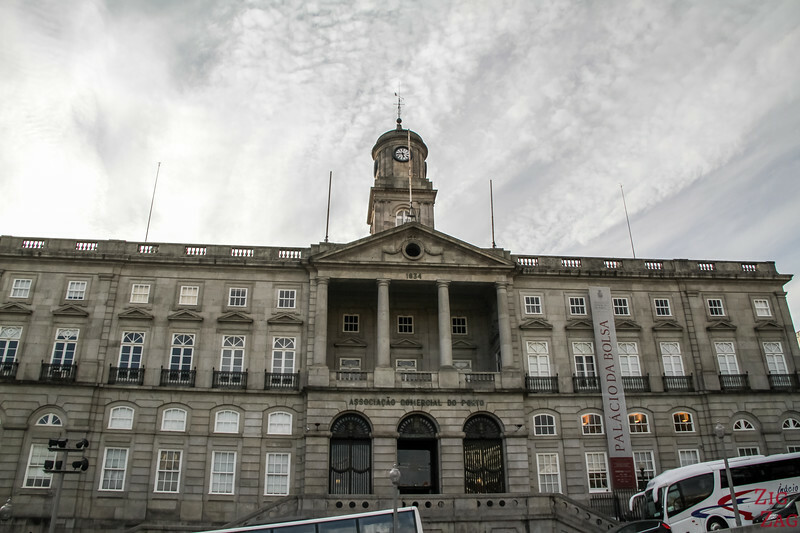 Porto has so much history, that I think a guided tour is a fantastic idea to discover the city. This will help you have another perspective on what you are seeing. This 4h walking tour has excellent reviews. On foot you will have time to appreciate the vibe of the different neighborhoods and notice the architectural details of the city. You will be able to discover many of the best sights in Porto. Just sit back and relax on this full day Porto private tour. No need to look for the place, the guide will take you to the best locations in Porto and all the way to the beaches of Foz. Having someone guide you to pick the best food is also great, and lunch is included. A way to get a different perspective of a city is from the water. If you did not take the hop on hop off which includes a small cruise, you can book a special cruise in one of the the traditional boats. 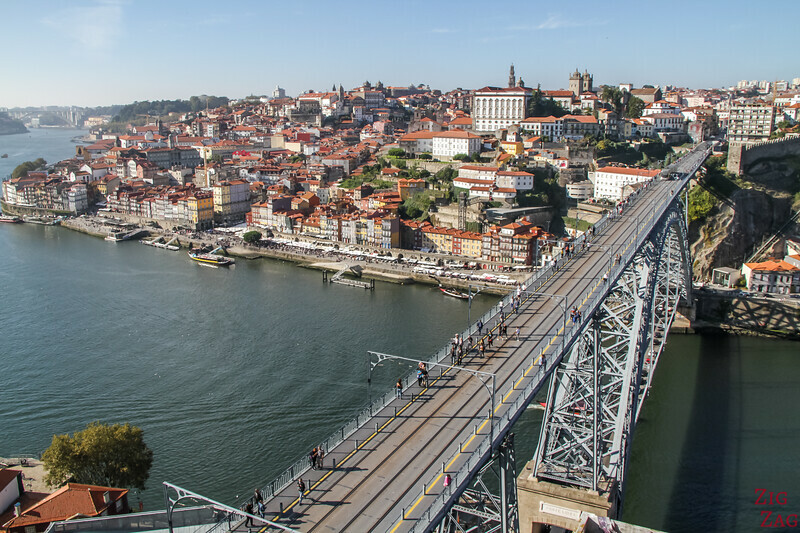 During the 50min you will discover the many bridges above the Douro River and learn more about the history of Porto. This is a tour I wish I had done. The Azulejos tiles are everywhere and are stunning. I would have really loved to learn more about their history and fabrication. This 3 hours walking tour will take you to some of the best displays in the city, as well as the museum and some depots and stores. 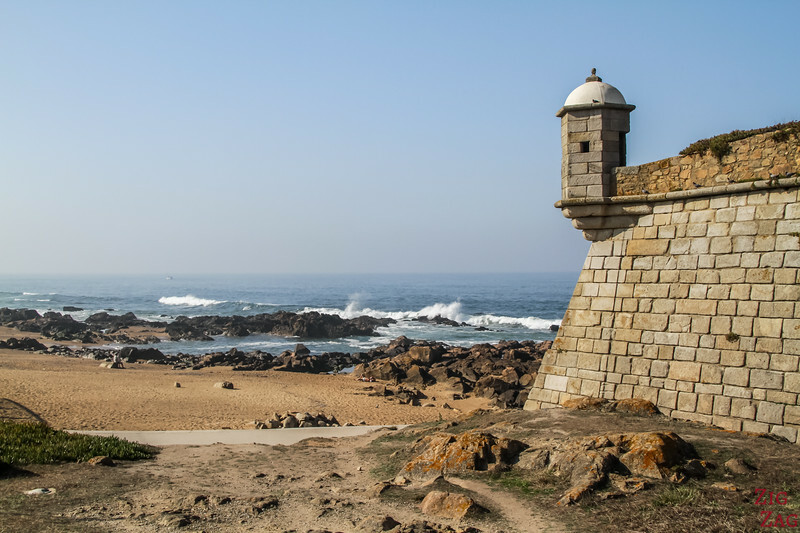 Want to learn more about how Porto resisted the attacks of Napoleon and the French soldiers? A special tour with a history teacher. Porto is beautiful during the day but it is also sparkling during the night! 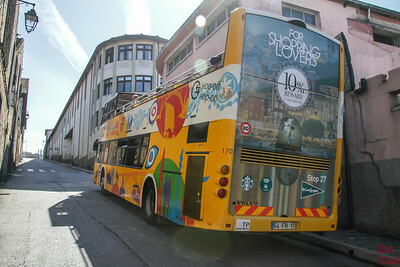 If you opted for the Hop on Hop off bus (red one) you can visit their current partner cave and enjoy a wine tasting. 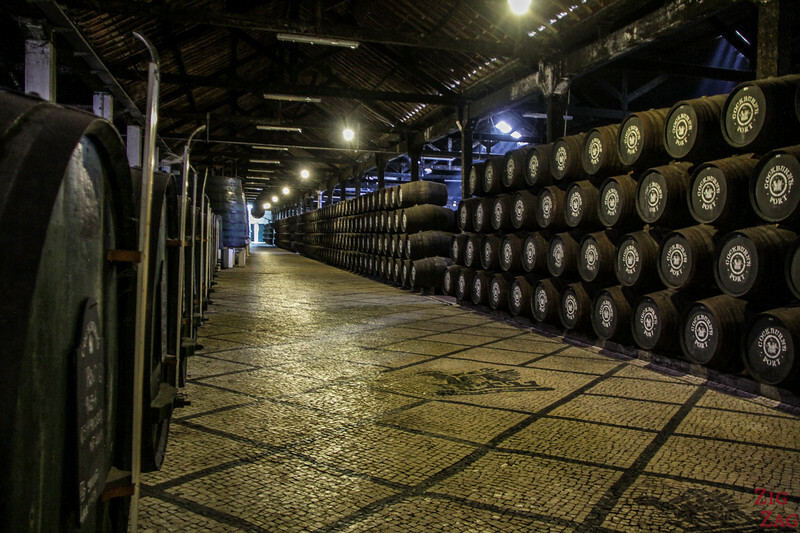 However if you wan a more in depth experience, opt of a dedicated Porto Wine tasting tour. There are not that many way to organize a wine tasting Tour, so they are all similar. They take you to 2 or 3 cellar for visits and tasting. Porto has a great food culture. There are these small eateries with set menus which are very tasty and offer a great atmosphere. Want to learn more about gastronomy in Porto and Portugal? Discover the 3 different options of Porto Food Tours. Wow, I have rarely seen a food tour program with so much tasting planned. This sound tasty! Coffee, pastries, cheese, sausage, wine, olive oils, spices... You mght be an expert by the end of the tour LOL. And finally, learn to cook Portuguese specialities with a workshop-lunch! There are also many fantastic day trips from Porto to architectural and historical wonders as well and nature ones. One of the most famous is the Douro Valley Porto Tour to discover where the grapes grow in a gorgeous setting. There are many organized tours offered. This one with 2 wine tasting included has great reviews! Here are some suggestions I have collected for you. I stayed in a really great apartment perfectly located called Go2oporto Apartment rentals. They have a several rentals. The Porto airport is quite active and there are many flights to arrive directly in the capital of North Portugal. To facilitate your arrival, you can book you private transfer right now. And, if your budget is tighter, o worries. You can also book a shared transfer. 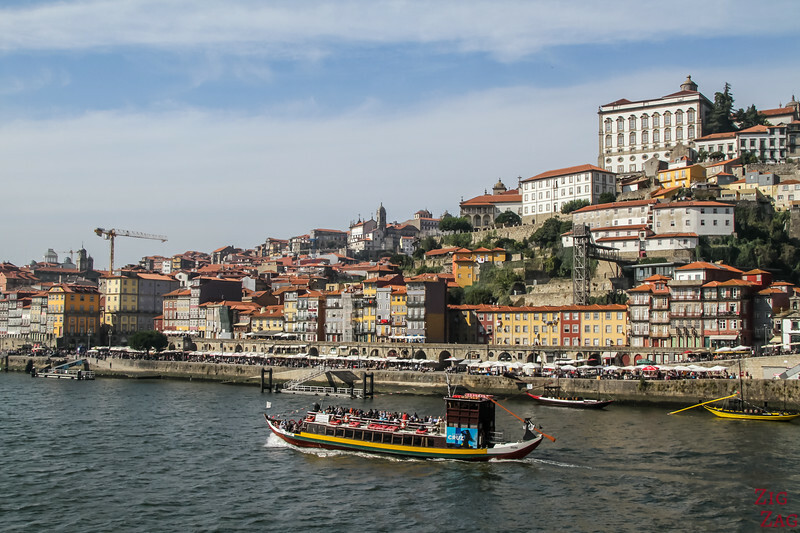 Porto is easily accessible from Lisbon by Train. It will take you between 2h35 and 3h depending on the train. You can check times and book your seat on Rail Europe. One of the best way to visit a country is on a road trip 🙂 - So rent a car and explore more of Portugal. Or just drive from Lisbon to Porto on the Motorway. It will take you 3 hours. It is quite a long drive for a day trip, but if you are staying in Lisbon and absolutely want to have an overview of Porto, you can book a private day tour. Check out the program and Book. Want to see more of PORTUGAL? experience the culture, and the people, and take some day trips. Thanks. I am glad you are finding it useful. I wish you a wonderful trip!